In today’s rumor rundown, the Vancouver Canucks are wondering what’s best for the team and their relationship with Alex Edler. Meanwhile, the Jets might have their eyes on a few different options before the trade deadline. We take a look at which teams are interested in defenseman Dougie Hamilton and finally, is Jimmy Howard staying in Detroit? Ben Kuzma of the Vancouver Province says the Canucks are trying to re-sign defenseman Alex Edler versus asking him to waive his no-trade clause and trying to get a draft pick or prospect for him at the deadline (which they could certainly do based on his play this season). That said, one option Kuzma believes the Canucks have toyed with is trading Edler then trying to re-sign at the start of free agency. Kuzma quotes Jim Benning as saying, “We’re going to look at all of our options. He (Edler) has been a part of the organization for a long time and I know he wants to continue on.” Part of what the Canucks will explore is what happens if they move him? Benning isn’t sure the team has someone ready to step in. Who is on the Jets Radar? 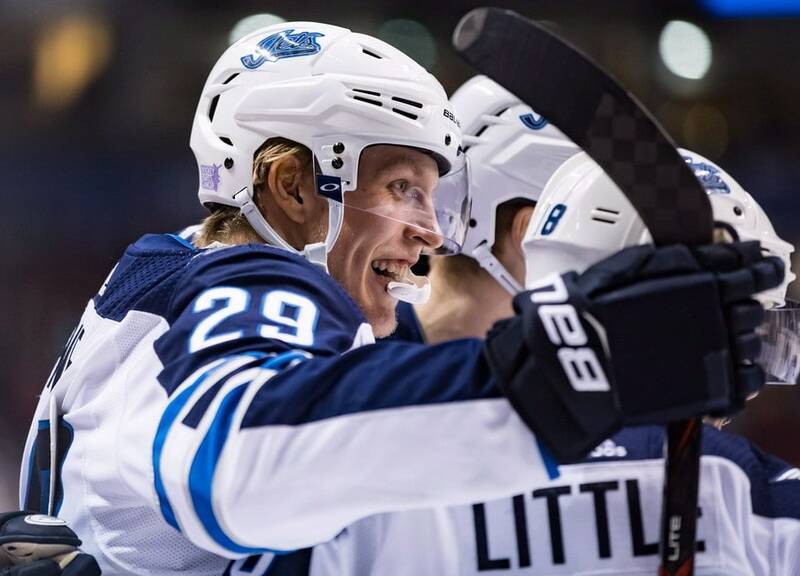 Mike McIntyre of the Winnipeg Free Press writes that the Winnipeg Jets might have their eyes on a few different players leading up to the trade deadline on Feb 25. At the top of his list is Matt Duchene who should be a target for the Jets but only if the price is right. As for other centers, McIntyre suggests Eric Staal out of Minnesota and Kevin Hayes from the Rangers. On defense, he thinks the Jets should focus on Jake Muzzin who carries a reasonable salary but one more year on his deal. The issue for the Jets is that they have to be careful in acquiring players with term on their deals because they have a group of free agents in the next season or two that will require their attention and big raises. They are not in a situation where they can haphazardly sign players without considering their salary cap. 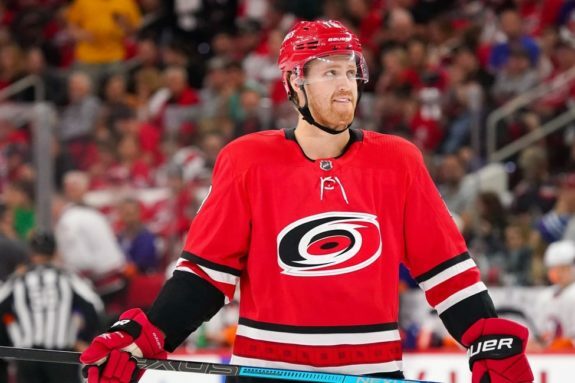 Elliotte Friedman said during an interview on Toronto’s Sportsnet 590 that Dougie Hamilton’s potential availability from the Carolina Hurricanes has multiple teams interested. 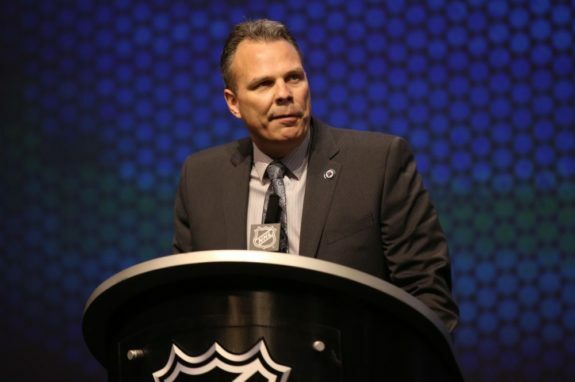 He believes the St. Louis Blues, Pittsburgh Penguins and potentially Toronto Maple Leafs are three teams that are taking a look. Hamilton has two years beyond 2018-19 remaining on his current six-year, $34.5 million contract, which carries a $5.75 million cap hit so it seems like Toronto doesn’t work from a cap perspective. Jimmy Howard to Stay in Detroit? Friedman believes the best shot at seeing Howard stay in Detroit is if the team tables something like a two-year deal pretty quickly here. If they wait, the closer things get to the deadline, the more likely he is to be traded.